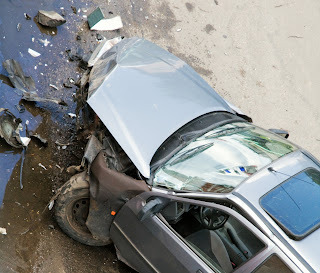 Car accidents are horrible, particularly when the driver or a passenger of the vehicle suffers a serious injury. When you or someone you love has been seriously injured in a Fulton County car accident, you need an attorney who has a reputation with the insurance company of not being afraid to file a Fulton County lawsuit and fight for the compensation that you deserve. Car accidents lawsuits are different in each county. Fulton County's unique local rules and jury demographics present challenges to an attorney without experience handling cases in Fulton County Court. An attorney with experience handling cases in Fulton County Court will make sure that you get all the compensation that you deserve. In Fulton County, it is important that you contact a lawyer immediately so that all evidence from the car accident can be preserved. The Law Offices of R. Michael Coker, LLC has experience handling car accident cases in Fulton County Court. With a reputation as an attorney willing to fight for you in Fulton County, R. Michael Coker is respected by the insurance company from the first phone call. If you are not receiving every penny you deserve, R. Michael Coker will discuss your options for filing suit in Fulton County Court. Your case may benefit most from being filed in Fulton County Magistrate Court, Fulton County State Court, or Fulton County Superior Court, buy only an experienced litigator with knowledge of Fulton County can explain the best option for your case to you. If you have a personal injury case in Fulton County Court, don't trust your case to an attorney who lacks the required experience handling lawsuits in Fulton County. Contact the Law Offices of R. Michael Coker at 678-537-1209 today for your free consultation. R. Michael Coker will be able to provide you with a free case evaluation and will explore which opportunities are best for you and your unique Fulton County Court car accident case. R. Michael Coker is an attorney with the Law Offices of R. Michael Coker, LLC and is admitted to practice law in all State and Superior Courts in the State of Georgia, the Georgia Court of Appeals and the U.S. District Court for the Northern District of Georgia. He can be reached by phone at (678) 935-6000 or by email at coker@coker-law.com. DISCLAIMER: The articles and entries in this blog/website are provided for information purposes only and is not intended to be, nor should it be considered, legal advice. Legal advice can only be given by a licensed attorney in your jurisdiction following an individualized consultation. By reading this blog/website you understand that there is no attorney client relationship between you and the blog/website publisher. You should not rely on any information contained in this blog/website as the publisher makes no warranty as to the accuracy of the information contained within this blog/website. If you are seeking legal advice, please contact an attorney in your area.